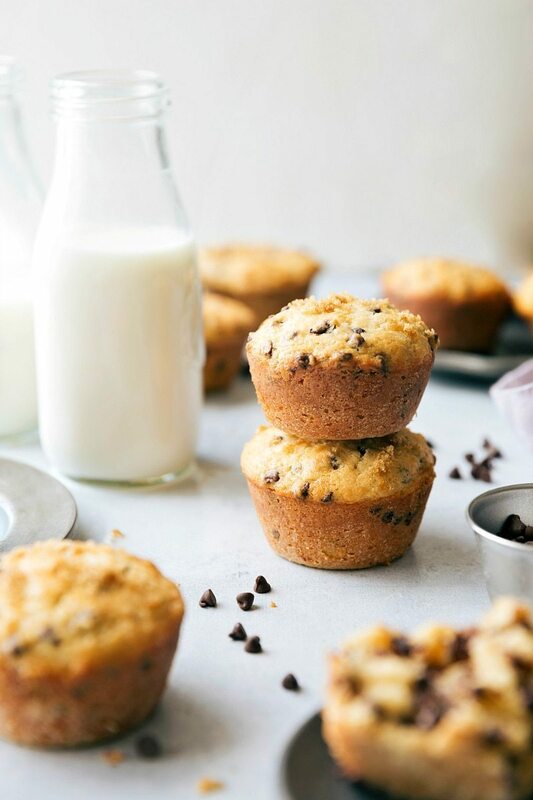 Greek yogurt chocolate-chip muffins made with better-for-you ingredients and no sacrifice of flavor! These muffins are soft, tender, moist, and delicious! With all the boy’s toys packed away in boxes things have gotten a little interesting as far as entertaining them. The past few days I’ve video recorded some pretty impressive messes on my phone which I’ve then sent out to family members in attempts to impress them with the unparalleled mess-making skills my boys possess. While I was upstairs switching over a batch of laundry a few days ago, both boys pushed chairs over to the kitchen counter and climbed up on top of the counter where the ingredients to make these very muffins were set out so they could get to room temperature. Within minutes, 18 eggs were toppled over onto the floor along with an entire bag of flour, a carton of yogurt, and melted coconut oil. The very next morning, I’d gotten the toddler a large bowl of yogurt topped with some mini chocolate chips. While I jumped in the shower, the babe joined the toddler in decorating the floor, table, chairs, and EACH OTHER in that very yogurt. Because who would want to eat the yogurt when you could decorate with it? So, when my sister was over the next day and I dropped an entire carton of milk (which subsequently broke and splashed up everywhere), we thought it would be a great idea to film the mess and frame the boys for it. We pulled both boys into the kitchen by the spilled milk and took some pretty incriminating photos and video. And I sent those on. By sending on all the videos I think my ultimate goal was to get some free babysitting because Hello, I clearly need a break. But I’m pretty certain it backfired because I got no offers. I’m pretty certain no one else wants their house destroyed right now. ? Which brings me to plan #2, babysitting for muffins anyone? I’m just saying, I’d clean all those messes up again for another batch of these. ? Set out the egg and Greek yogurt to come to room temperature. Melt and measure the coconut oil and set out to get to room temperature as well. Preheat the oven to 350 degrees F. Generously grease 9 cavities on a regular-sized muffin tin and dust the cavities generously with flour. Don't use paper liners (these muffins stick). Set aside. Measure out 1 cup of flour. Remove 1 tablespoon of flour from that cup and return it to the flour container. Take the remaining flour and sift it into a large bowl along with the cornstarch, baking powder, and salt. Toss with the chocolate chips. 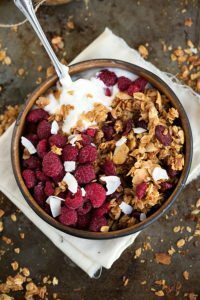 In another bowl, add in the vanilla extract, room temperature egg, room temperature Greek yogurt, brown sugar, and room temperature coconut oil (melt, measure, allow it to cool to room temperature). Whisk ingredients together until smooth. Add the dry ingredients into the wet ingredients and stir until *just* combined. Over-mixing will result in dense muffins. Spoon an even amount of the mixture into the prepared 9 cavities of a muffin tin. Fill the remaining cavities halfway up with water (to ensure even baking). If desired, sprinkle 1/2 teaspoon brown sugar on the tops of the muffins (optional). 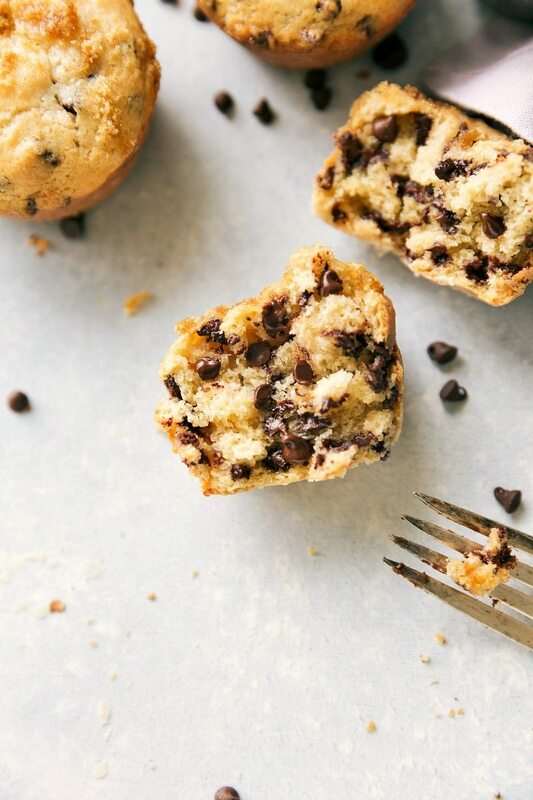 Bake for 18-22 minutes or until lightly browned at the edges; be very careful to not over-bake these muffins or they won't be as soft and moist. Remove and allow to cool for a few minutes before removing the muffins from the tin on to a cooling rack. 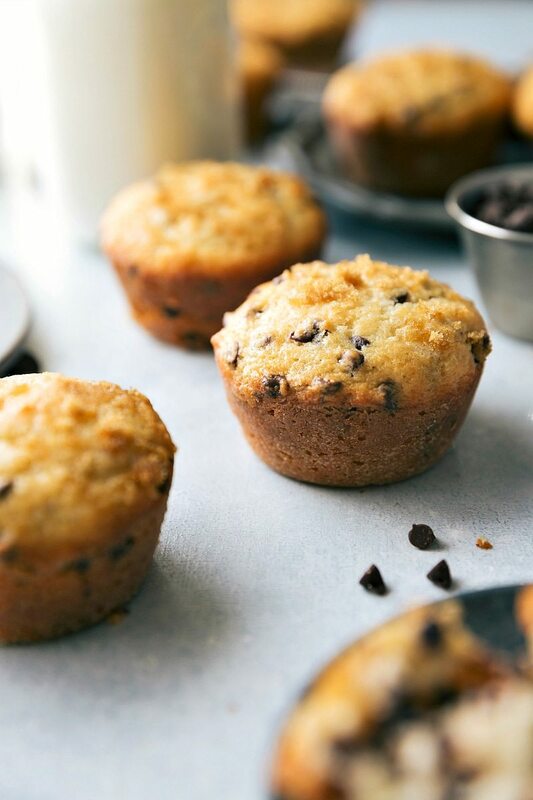 Best enjoyed within 2-3 days; store leftover muffins in an airtight container in the fridge. hey girl- love the post! Kids will be kids! ha And these muffins look so yummy! Y’all have a great weekend! These muffins look incredible! We are muffin-a-holics over here and big fans of Greek yogurt in about everything:-)! AMAZING!! 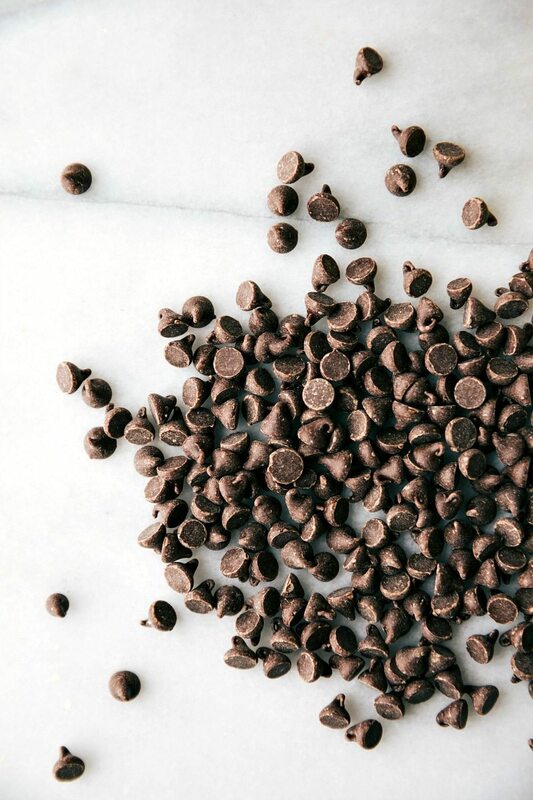 Love anything that involves chocolate and healthy in the same sentence. Dear, I really enjoy and appreciate your work ! Thank you so much ! I love that you take the boys’ messes as an opportunity to laugh instead of getting upset! Life is literally too short to cry over spilled milk. 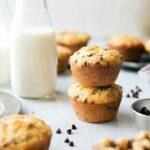 These muffins look amazing and I love that the ingredients are all simple and probably in my pantry/fridge right now! I used your recipe today and to honest I didn’t expect it gonna be that Delicious ! also I used 100% choco bar ..
You are so kind; thank you for your comment! I’m so glad you enjoyed these muffins ? 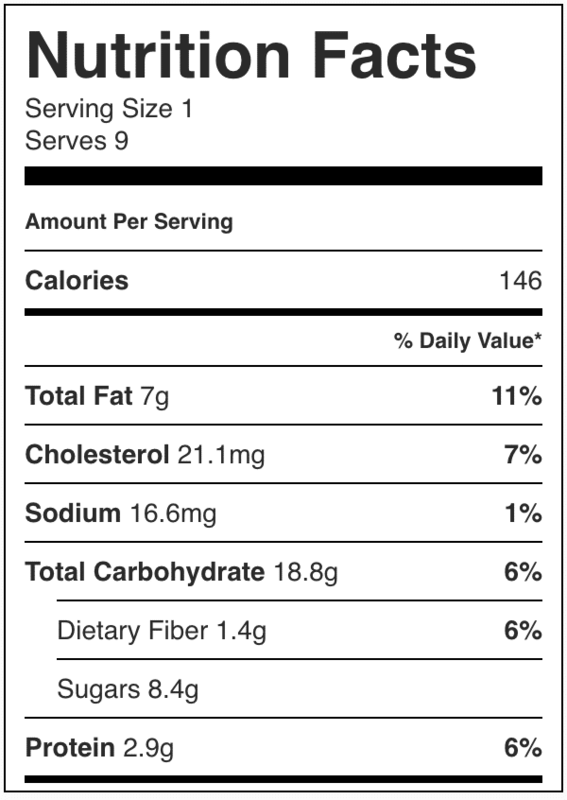 How many calories and fat in this recipe? Okay, these we’re AMAZING, a huge hit with my boyfriend. I subbed 1/4 of the flour for 1/4 cup of golden flaxseed, and you can’t even tell it’s there when you eat it, still super moist and decadent. 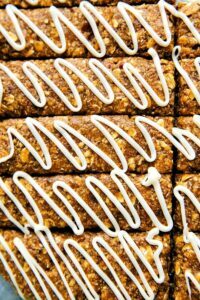 Tried these this morning with my kids and they were SO tasty! We followed all of the directions except the sifting part, lol.